Today Samsung had brought a great surprise by announcing its latest new smart phone called Galaxy Grand 2. After seeing the success of the Galaxy Grand, now South Korean handset company had launched Galaxy Grand 2 but has not revealed the price and availability details. However, the new smart phone Samsung Galaxy Grand 2 runs on Android 4.3 Jelly Bean (latest Android OS version) and having dual-SIM facility with support for GSM+GSM. It features a 5.2-inch HD TFT display with a resolution of 720x1280 pixels. More features of Galaxy Grand 2 is like it is powered by a 1.2GHz quad-core processor alongside 1.5 GB of RAM. Also having 8 megapixel auto focus rear camera accompanied by an LED flash. It also houses a 1.9-megapixel front-facing camera. It’s having connectivity options like Wi-Fi, Bluetooth, GPS/ AGPS, micro-USB and 3G (HSPA+). 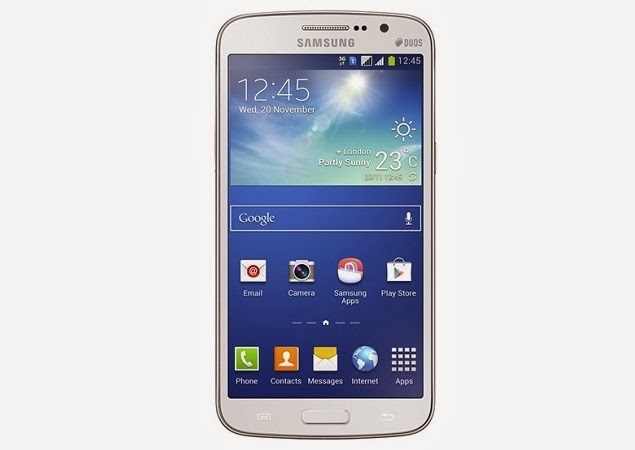 The new smart phone Galaxy Grand 2 measures 146.8x75.3x8.9mm and weighs about 163 grams. The latest device having 8GB inbuilt storage and 64GB expandable microSD card. In the first phrase, the device will be available in Black, Pink and White colour variants in select regions. The Samsung has decided to provide some special apps which are already available in popular flagship smartphones, Galaxy S4 and Galaxy Note 3.